-ORTHOREBIRTH- The World’s First! Rebossis, a Cottony Flexible Synthetic Bone Is Born. ORTHOREBIRTH took part in the exhibition at the 31st Annual Meeting of NASS: North American Spine Society), which was held in the States between Oct.26 and Oct.28, 2016. 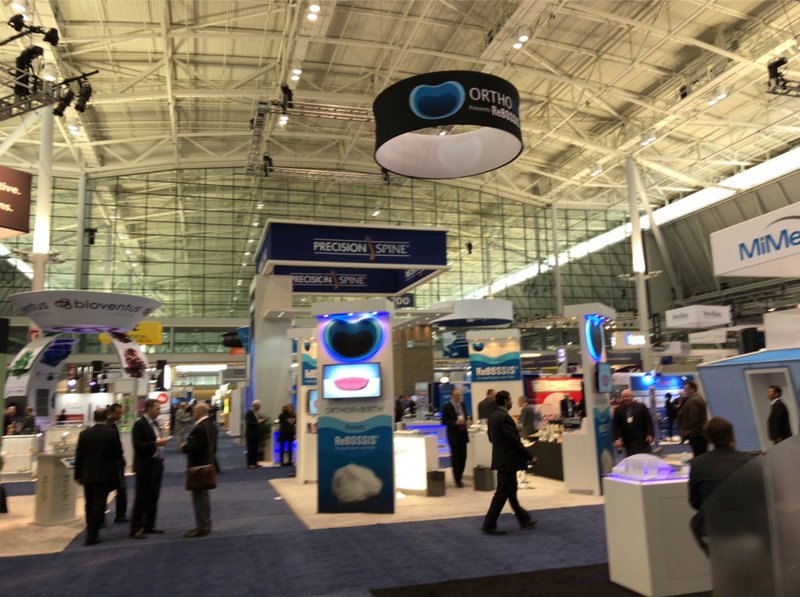 As Seen in the previous years, the 31st Annual Meeting, organized at Boston Convention and Exhibition Center in Boston, Massachusetts, also welcomed a lot of medical equipment makers, and the venue was crowded with a great number of people. During the exhibition, we invited so many medical doctors to our booth to introduce to them our flagship－ReBOSSIS：Cotton-like Bone void filler of Highly-Absorbability. In our booth, ReBOSSIS was displayed, and a certain demonstrations were carried out, through which visitors were able to experience how well ReBOSSIS mixed with artificial blood. Thus, taking this good opportunity, we were able to actively introduce ReBOSSIS to medical doctors. Those who responded to these medical doctors and other concerned parties at the booth are the staff members who work at ORTHOREBIRTH USA, the sales subsidiary of ORTHOREBIRTH. ORTHOREBIRTH USA started its business operations this past September.